Klarity offers Eye Shields protect the patient’s lens during radiation therapy treatments. Klarity offers Silver-Plated Eye Shields in 4 different sizes. 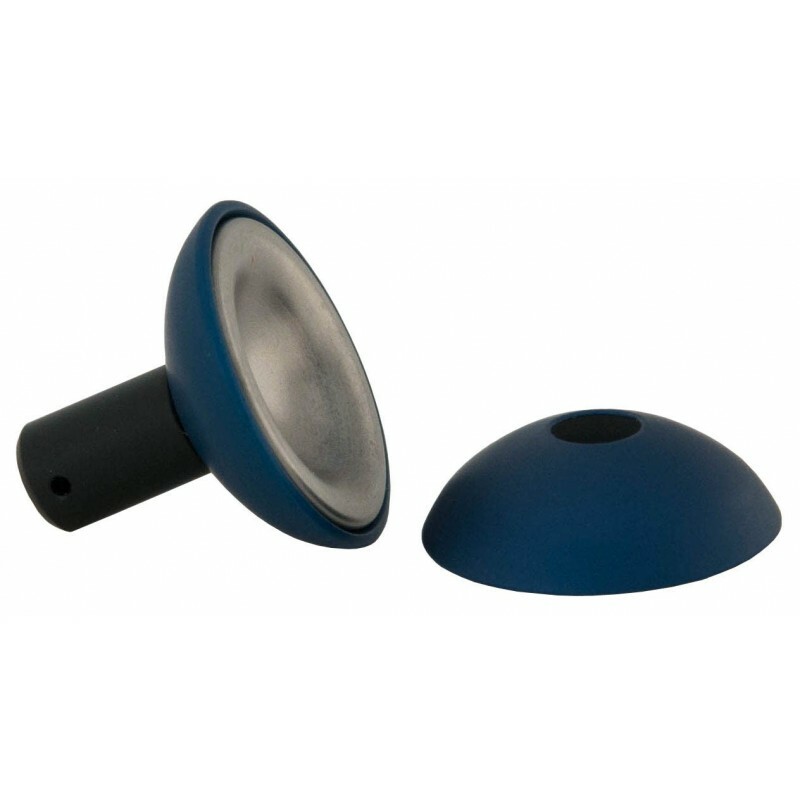 Tungston Eye Shields with Aluminum Caps are available in a wide variety of sizes. Please contact your Account Manager or email sales@klaritymedical.com for more information. Silver-Plated Eye Shields come in four different sizes and are highly polished. The small and medium solid lead shields fit under the eyelid to protect the lens, while permitting irradiation to the entire thickness and width of the eyelids in the treatment of superficial basal cell carcinomas of the skin. Large solid lead shields are used when areas surrounding the eyes require irradiation, in which case, the shields are placed over the lid. When only a portion of the eyelid requires irradiation, an extra large shield with a window is properly placed over the eyelid. Eye Shields are fabricated of virgin lead and are silver-plated for life long protection. Using a soft contact lens or coating the eye shield with dental wax will give a smooth surface on the eye to prevent scratching or irritation to the eye. The lead permits less than 1% transmission of the radiation intensity at 120 kVp (3 mm Al HVL). Always consult the Radiation Physicist when using eye shields in electrons. The Tungsten Eye Shield can use either the 0.5 mm or 1 mm thick anodized aluminum cap (both are included with each tungsten eye shield) to reduce the electron backscatter to the eyelid. The eye shield can be used without the aluminum cap when placed superficially. They have less transmission than other eye shields. *3 mm tungsten eye shield should be used for 9 MeV and 2 mm tungsten eye shield should be used for 6 MeV. These tungsten eye shields are not recommended for use above 9 MeV. The user will have to determine an acceptable amount of backscatter to decide whether to use 0.5 mm or 1 mm aluminum cap.